Clothes Dryer Repair is our field of expertise traversing over 5 decades. Area Appliance Service has repaired 1000’s of dryers over the years including top loaders, side loaders, front loader, electric, and gas machines. We will advise you whether or not your clothes dryer is even worth fixing. 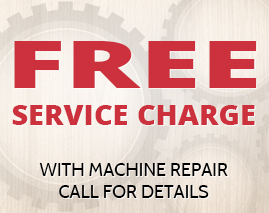 Our appliance repair coverage spreads across the Buffalo Grove and Arlington Heights. Our company specializes in ALL types of dryers for residential use. We repair almost every major brand of dryers on the market such as Maytag, Kenmore, Whirlpool, LG and more. Our washer and dryer technicians are factory trained, licensed, bonded and insured with plenty of experience under their belt. Call now to talk to a LIVE customer care representative at (847) 459-8070 or fill out our form to schedule a service appointment. My clothes dryer won’t start up or power on. My dryer stops turning or spinning during the cycle. The clothes dryer won’t turn or spin at all. My dryer takes too long to finish the cycle. My dryer will not stop running. The clothes dryer does not heat up correctly. The clothes dryer trips my circuit breaker. My dryer makes a horrible noise. Schedule Service for Your Dryer Today! Quality service with an appliance repair crew to back it. Clothes Dryers are standard equipment in today’s family household. 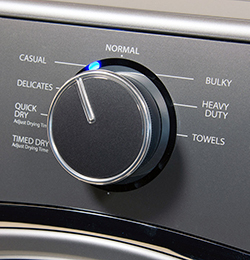 Repairing a broken dryer should be attended to immediately, and without inconvenience. All Area Appliance Service repairs come standard with a Satisfaction Guarantee on Labor and Appliance Parts for up to 12 months. If somehow an occurrence presents itself, feel free to call us back and we will gladly fix the failed repair situation. Your satisfaction is our guarantee! Family operated, owned, licensed, insured and bonded.